ESOL Education specializes in the establishment and management of high quality international schools in the Middle East and Mediterranean areas where they follow an American or British academic curriculum. 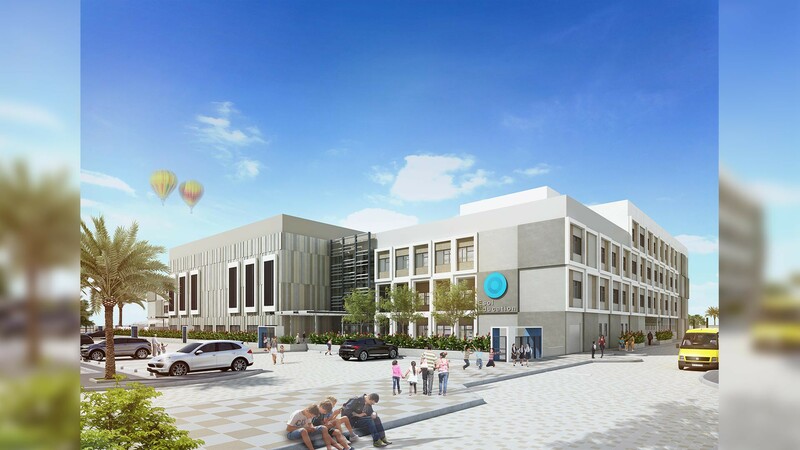 ESOL Education currently serves over 10,000 students and as part of their future growth plans appointed AK Design as architects for their tenth school in collaboration with Amana Contracting Group who have a vested interest in the project. 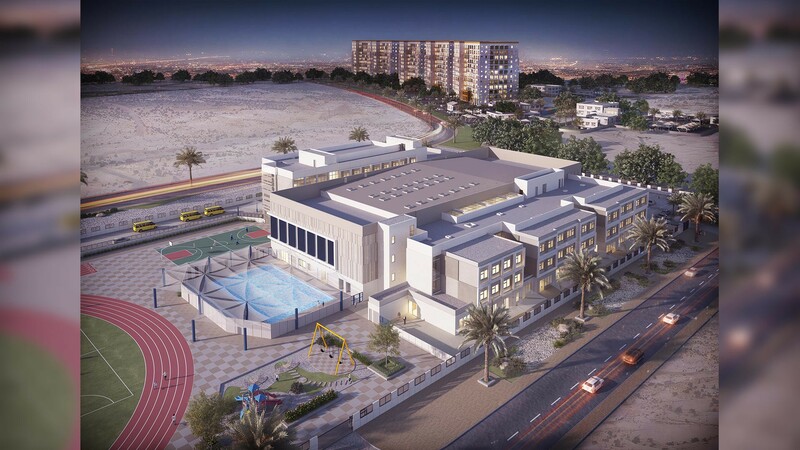 This high end American School development is located in Dubai Land and occupies a plot area of 36,700m2. 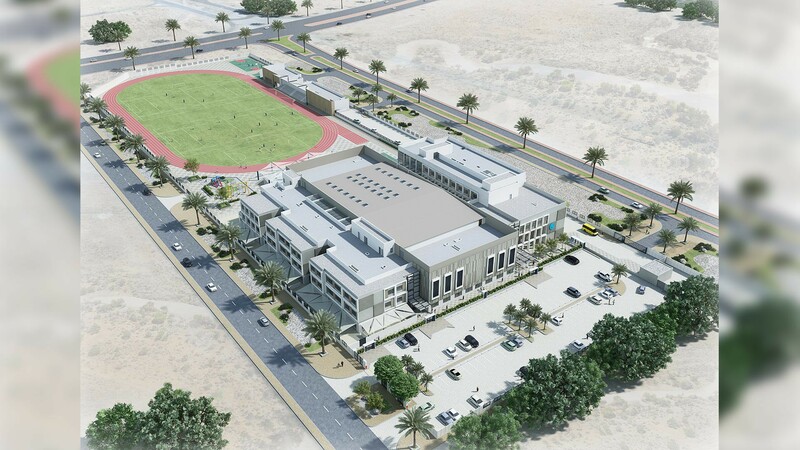 The full student population is planned at 1,600 comprising an international demographic of over 50 nationalities mostly from the USA, UAE, Lebanon and Egypt. 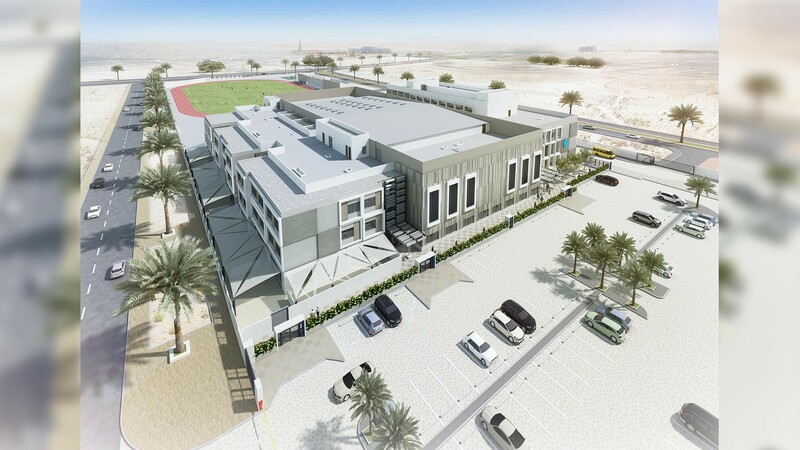 Our architects have now completed a functional design that uses the land efficiently and which caters for the academic and physical education components of the facility. AK Design have formulated an imaginative and stimulating school environment which embraces the client’s full space programme needs with the added responsibility of solving constructability issues using a preferred precast modular system in conjunction with Dubox the appointed building contractor. The campus facilities includes common areas, instructional spaces including special learning needs, project rooms, library, kindergarten, administration offices, cafeteria, staff lounge, laboratories and workshops, clinic, operational services, sports and recreation, swimming pool, outdoor learning spaces, football field and surface parking for cars and buses. Cost effectiveness and sustainability awareness constitute core elements of the business initiative. 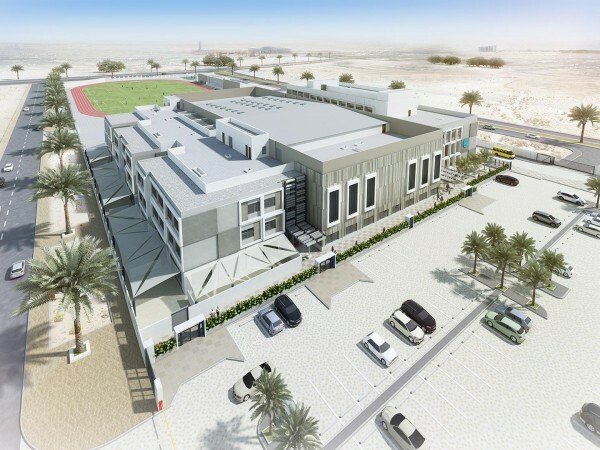 With a permitted BUA of 26,140m2, the school operators are planning to bring the facility to the market over two construction phases. Office 405, Hassanicor Building, Al Barsha 1, Dubai U.A.E. © 2019 AK Design. All rights reserved.